A recently formed subsea services business has secured a substantial injection of private equity investment to acquire a fleet of 32 best-in-class remotely operated vehicles (ROVs). Aberdeen and Houston based M² Subsea Limited has attracted the investment from a fund advised by Alchemy Special Opportunities. 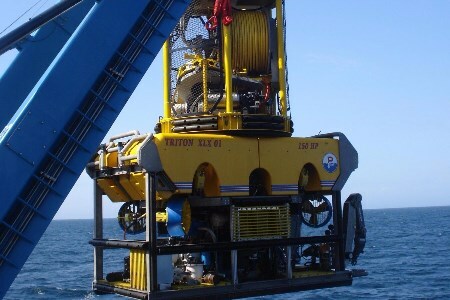 M² Subsea is set to become one of the largest independent providers of ROV services globally and offer its customers safe, cost-effective solutions for inspection, repair, maintenance, decomissioning and light construction. The recently established business expects to create at least 50 onshore and 100 offshore jobs operating primarily in the North Sea, Gulf of Mexico, West Africa and eventually Asia Pacific and the Middle East by the end of 2017. Leveraging the experience, expertise and unrivalled contacts of the senior management team, M² Subsea offers an independent service that is focused on delivering best value while reducing cost and risk, to meet the demands of the low oil price environment. Mike Arnold is heading up the business; he brings 35 years’ experience in the subsea industry as original founder of Rovtech as well as Hallin Marine UK and Bibby Offshore’s ROV services unit. He is joined by a strong management team of other subsea veterans including Mark Wood and Mike Winstanley.